Eva is a truly vintage inspired piece – a little touch of Jane Austen, a bit of Grace Kelly and a whole lot of vintage charm! The metal hair comb sits perfectly on the top of the head and looks most impressive with an updo. 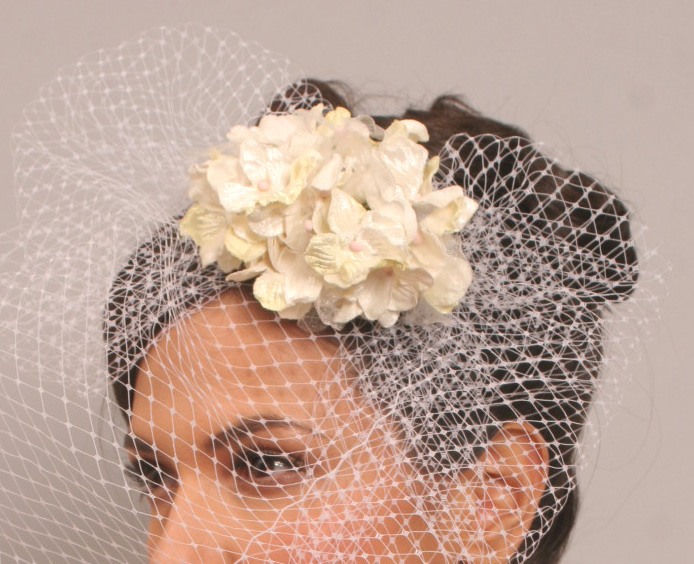 A posy of pretty pale, lemon yellow, velvet primroses sits clustered above the white gathered birdcage veil. The metal hair comb measures 7 x 3.8cm. The section of yellow flowers measures 12 x 8cm with a height of 4cm. 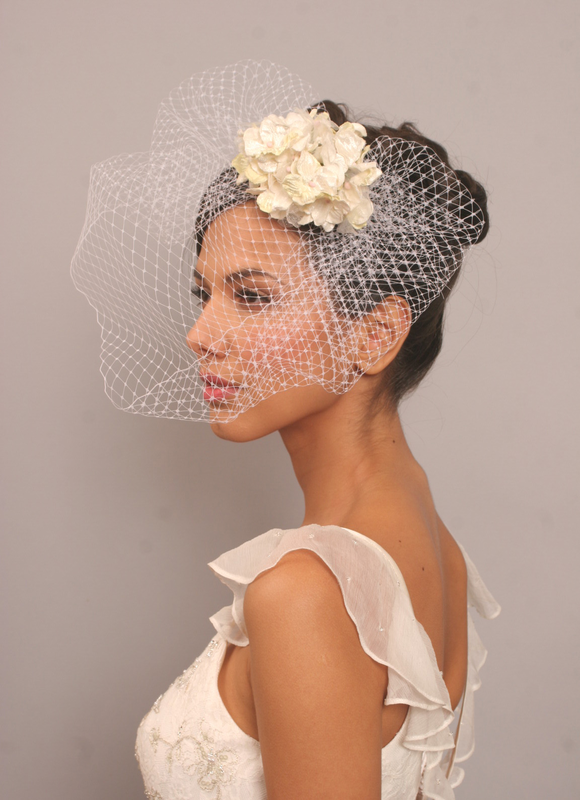 The gathered birdcage veil measures 27cm across in the widest section (across the hair comb and flowers). 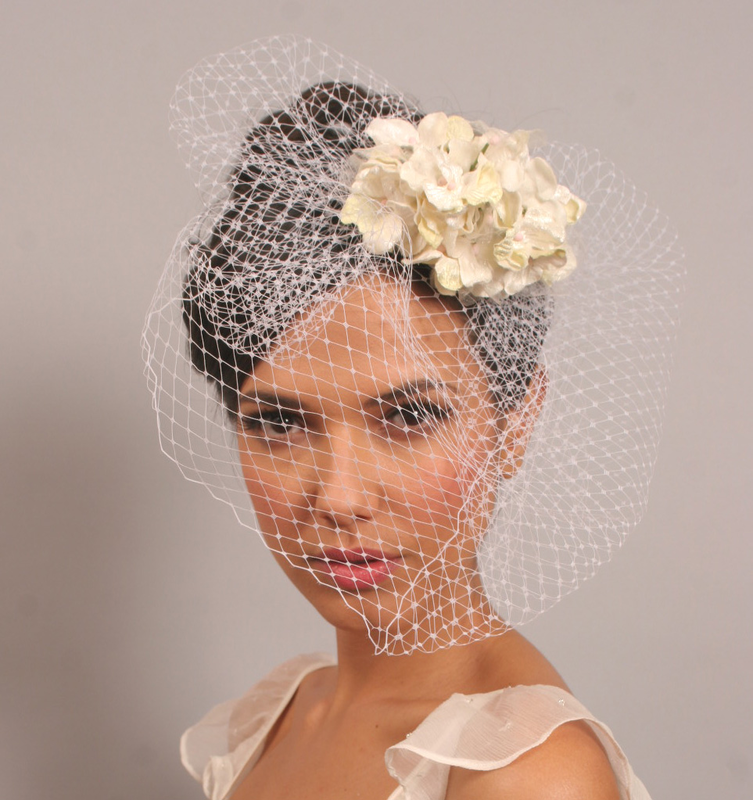 The veil measures 25cm from the flowers across the front of the face towards the chin.